Francia Fernandez emerges from the underlit, green-tiled foyer of the Grant Houses public housing complex on Broadway as a subway train rumbles overhead. In a baby pink headband and grey sweatpants, she is stepping out just to run some errands. We converse outside the building, her dyed-blond ponytail swishing, the cadence of her Spanish musical. Although she currently holds a cleaning job, she is seeking new employment. I point to the Columbia Employment Information Center, the boxy one-story building directly next door, and Fernandez tells me she has never heard of it. She seems surprised. “Do they have cleaning work?” she inquires, knitting her eyebrows. I nod. “Okay, I’m going to go tomorrow and apply for a cleaning job at Columbia,” Fernandez replies with determination, as if she has already marked it into her calendar. As we part ways and she walks to the 125th Street subway station to continue her day, Fernandez passes within arm’s length of the CEIC’s all-glass exterior. The building, flanked by a Duane Reade to the left and a fenced-off alleyway to the right, boasts a large blue sign with silver lettering and an unmistakable Columbia crown. 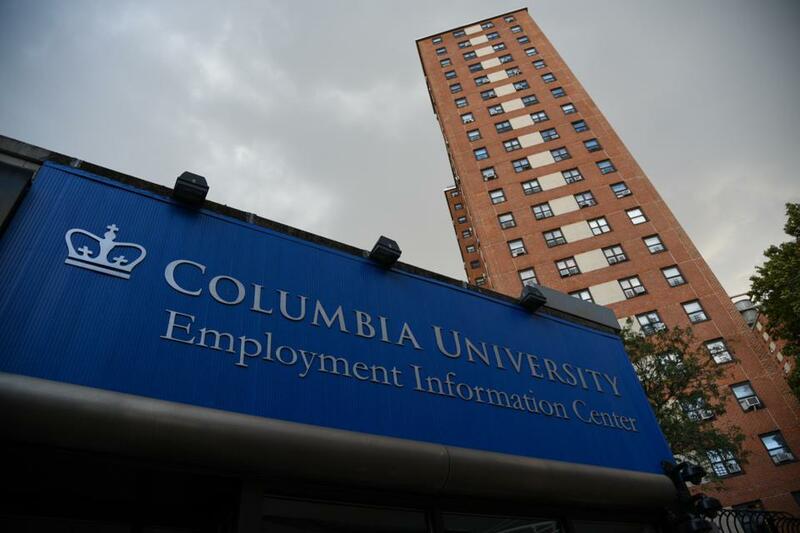 The CEIC was established in 2004 as the Columbia University Employment and Career Center. Five years later, it was renamed in the West Harlem Community Benefits Agreement, a 50-page contract in which Columbia promised to invest in and provide amenities to residents of West Harlem in exchange for its new property and presence in the neighborhood. The CEIC promised to “[serve] as the central community-based resource for local residents to apply for open positions at Columbia University.” On its website, the Center writes about its wide range of services to the local community, including “in-person and online job readiness training programs, one-on-one job search counseling and assistance, and online access to job opportunities at Columbia.” According to the CBA, it would cost Columbia a minimum of $325,000 a year and would remain in operation for the next 25 years. The CEIC reports that over the past five years, it has welcomed over 20,000 visitors and helped almost 1,500 people find employment. But despite the promising statistics, there is still an invisible divide between the Center and many of its neighbors. People like Fernandez who are seeking employment walk past its glass doors every day without ever going in. Today, although CEIC has provided extremely efficient and helpful services to those who come through the doors, those in the surrounding community that was most directly affected by the Manhattanville expansion are largely unaware that the CEIC’s services are available to them. With the Center’s opening in 2005, Columbia administrators began promoting its services by speaking at public meetings and with elected officials. Larry Dais, the assistant vice president for government and community affairs at the time, told Spectator that the Center’s most important mission “was to bring down perceived barriers” between the community and Columbia. 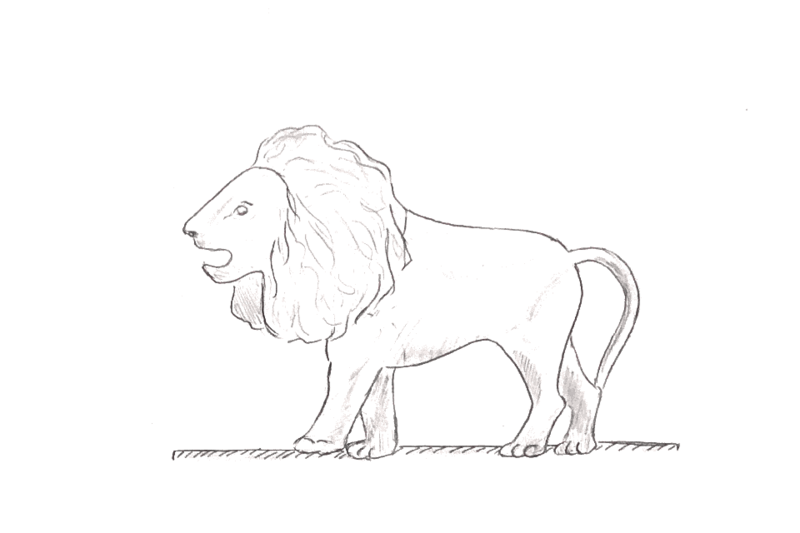 Five years later, though, the intangible barriers between the University and the community remained standing. A group of protestors clustered outside the CEIC in December 2010, despite below-freezing temperatures, holding signs that read, “Bollinger: mi casa no es su casa” and chanting, “Harlem is not for sale.” These residents felt that they had been largely “ignored” by the new center, that Columbia was helping its graduates but not the community, that “instead of providing jobs, they provide employment offices that do not provide jobs.” After the protests, when the CEIC held an open house, local residents felt that the English-Spanish language barrier between participants and CEIC staff was left unacknowledged. One participant stood up and walked out for this reason. Asked for comment on these protests, the CEIC denied that the protestors were decrying its services. 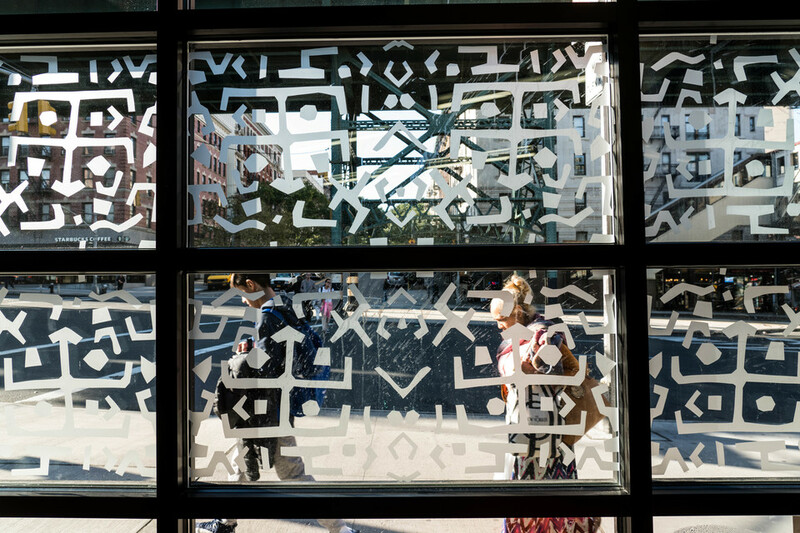 The etched glass windows of the CEIC face Broadway and Tiemann Place. Today, every pamphlet displayed beside CEIC’s welcome desk is printed in both English and Spanish. As of now, CEIC has helped 1,429 people find employment. The Center directs many of its applicants toward positions at Columbia, which boasts that it is one of the largest employers in New York City with 14,000 full-time employees. The Center also provides a plethora of job-readiness services. Both in-person and online workshops occur at least once a month. In-person workshops support job seekers by helping them write résumés and cover letters, prepare for interviews, hone job search strategies, and select interview attire. Online training workshops cover a much broader and much vaguer list: communication skills, business skills, personal development skills, and the like. In addition, job seekers can schedule free, one-on-one training workshops with CEIC staff. Data published by the CEIC shows that 1,228 people used the Center’s job readiness services between October 2017 and August 2018. The one-on-one training proved the most popular, with 1,093 job seekers using this service within that time frame. Once the applicant feels ready, they may apply for a job either through the CEIC or another job agency. Through the CEIC, the application process is relatively simple; all applications are done online and usually take less than an hour. Applicants are free to use any of the CEIC’s 10 desktops while CEIC staff are on hand to help them throughout the process. The only requirements are a GED or high school education and eligibility to work in the United States. For those who use CEIC’s step-by-step application process, the job search is smooth and usually results in success—CEIC staff will keep working with applicants until they obtain a job. Philip Duncan works as a door attendant at 454 Riverside Drive, where Columbia faculty live overlooking the expanse of Riverside Park’s greenery and the Hudson River. He tells me his CEIC story step by step, as if listing off the components of an assembly line: “I told them I need a job. They told me to bring my résumé. I brought in my résumé. Within two weeks, they called me. They sent me to do my medical and all of that. They employed me.” Residents of his building greet Duncan as they go in and out, carrying yoga mats or pushing babies in strollers. Duncan has been at his tranquil post for eight years, and he loves his job: “I would've been gone if I didn't like it,” he laughs. Duncan first heard about the CEIC from his son, who also acquired a job at Columbia through the Center. For Duncan, the application process was seamless. After two years without a long-term contract, he was offered a permanent position with the University. Now, he tells people back home about the Center. “Most of the time I send people there, even if it's just [temporary work], they get employment,” he says. Angelo Moncion works as a door attendant one building over. He is twenty years old, around the same age as many of the college students walking and jogging along the cobblestone sidewalk across Riverside Drive. Square diamond studs sparkle in his earlobes, and like the other door attendants who stand nearby, he wears a suit. While working this job, he tells me, he’s learned life lessons from the older door attendants on the block and revitalized his desire to go to college and earn a business degree. From her office on the third floor of Columbia’s Forum building, Pat Lilly can also see the Hudson River. The building, designed by Renzo Piano, is the newest addition to Columbia’s Manhattanville campus—and an architectural masterstroke. All-glass walls exhibit a panoramic view of 125th street. The white furniture and tangerine trimmings shine with newness, and the orange wall-to-wall carpeting is made of goat hair imported from Ireland. Although Lilly works in a very different physical space from Duncan and Moncion, their three stories overlap in their connections with the CEIC. Born in Georgia, Lilly moved to New York City with her family at age six. 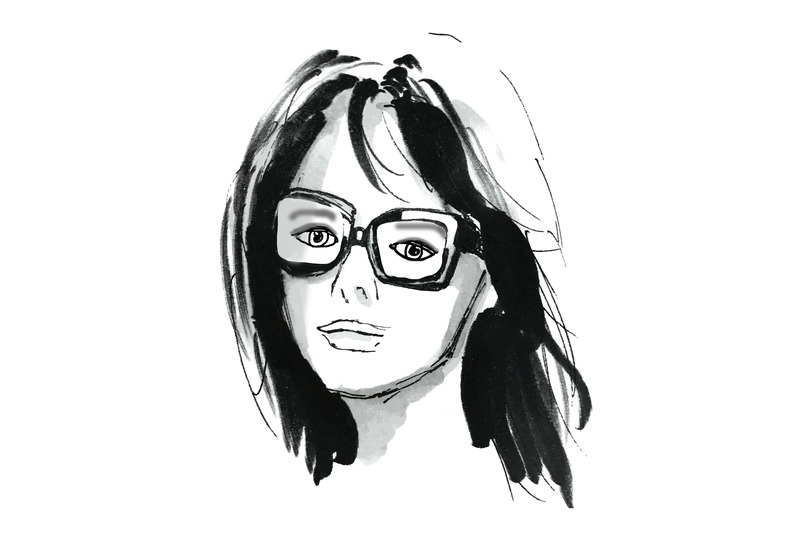 Her teenage years were spent going to school in Chinatown. 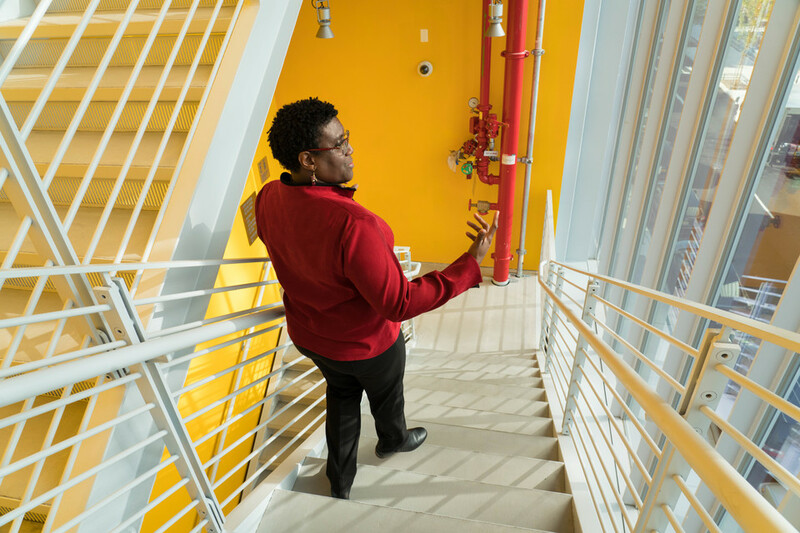 After graduating from a two-year college and working in sales and administration for many years, Lilly moved to West Harlem less than a decade ago, entertaining dreams of working in education. Word of CEIC came to her through a friend, and she began working with CEIC staff to find a position at Columbia. The process was lengthy; when she didn’t land the first few jobs she interviewed for, she was “disappointed but not discouraged.” After four months working closely with CEIC, Lilly landed a temporary job as the Manhattanville liaison, a program coordinator position in the facilities and operations department. Eventually, she was offered a permanent position. Now, Lilly works to strengthen the relationship between the place she lives and the place she works. 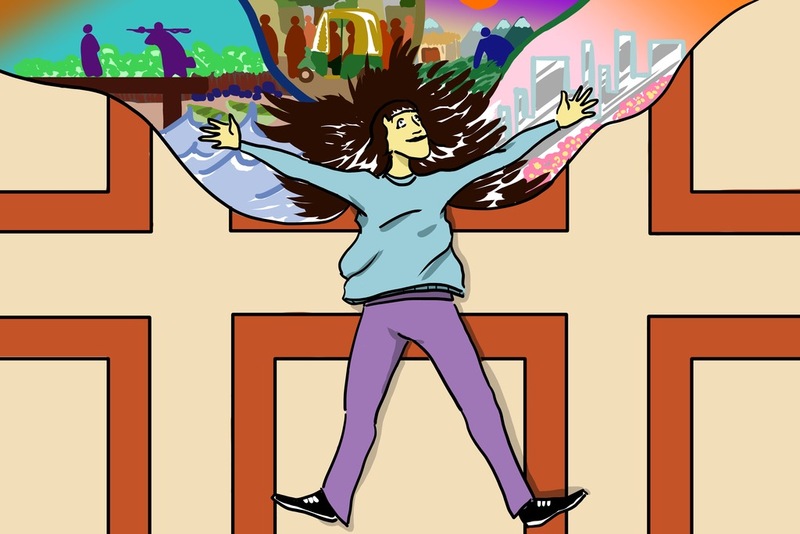 “When I go down and have lunch, and I see someone looking interested, I just go up to them to talk with them and try to engage them.” Through dialogue, Lilly spreads the message that everyone is welcome in the public first floor of the Forum Building. Elizabeth Jones, director of community employment programs and services, and Barbara Catalano, senior director at CEIC, mention Lilly when I speak to them in Jones’ CEIC office on a Monday morning. Three men sit in the CEIC lobby, presumably waiting to meet with a staff member, as sunlight filters in through the glass behind them. Jones operates the job readiness workshops and conducts outreach in the community and Catalano focuses on the hiring process, but their work flows into each other’s. “We will help anyone that walks in, no matter where they’re from,” says Catalano, whose eyes light up when she talks about her work. They are both energetic and explicitly discuss their passion for the CEIC’s mission. “I would love to say every day we're placing five people at Columbia and finding them full time jobs,” Catalano explains. “But it's baby steps. Liz and I are like ‘we placed another candidate!’ That's what gets us up in the morning.” Once a job seeker arrives, the CEIC will continue working with them, scheduling interviews and arranging follow ups until the individual acquires a position. For Lilly, this process happened to take four months. Both Duncan and Moncion are satisfied with their jobs and with the agency that walked them through a blur of applications and résumés. They and other door attendants on Riverside Drive joke about the beautiful view from their posts, although “it does get pretty chilly in the winter,” one of them chuckles. Lilly, too, tells me that her job is her “happy place,” and it wouldn’t have been possible without the CEIC’s efficiency and dedication. Yet I couldn’t help but notice that the chain of recommendations and referrals that brought all of them to their current posts was somewhat random. None of them noticed the Center in their daily lives, on pamphlets or at job fairs, on posters or online. What about those who don’t hear about this opportunity? The numbers back up his observation. Out of 60 Morningside Heights residents The Eye surveyed on the stretch of sidewalk in front of the CEIC and around the corner on 125th Street, 33 had heard about the Center. Only 11 people knew that it’s accessible to the community. 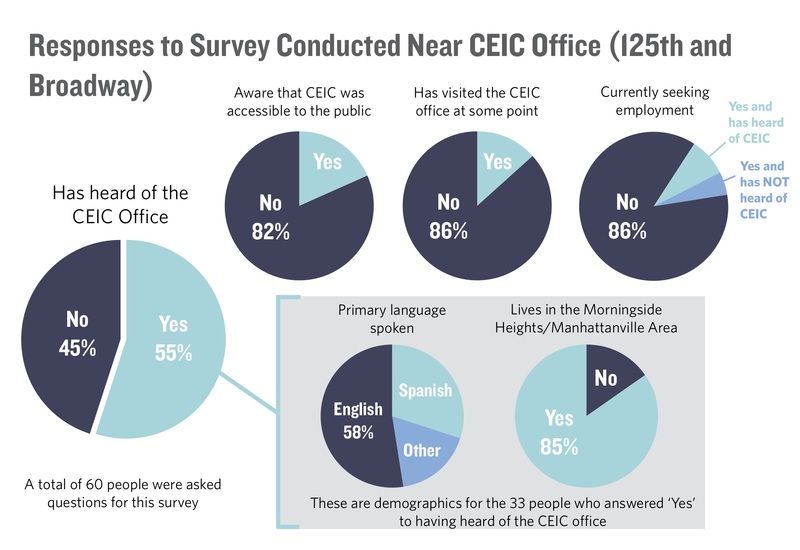 Six people surveyed had been inside the Center, suggesting that if people know CEIC’s services were available to them, there is a fairly good chance that they will go. “We didn’t even know the Center was open to us,” Jonathan Kay, a resident of the Grant Houses, tells me as we stand looking up at it. Dantice Davis, a Morningside Heights resident, compared it to her alma mater, which offered an employment center exclusively for its own graduates: “We thought it was only for people from Columbia.” She is not unjustified in thinking this. 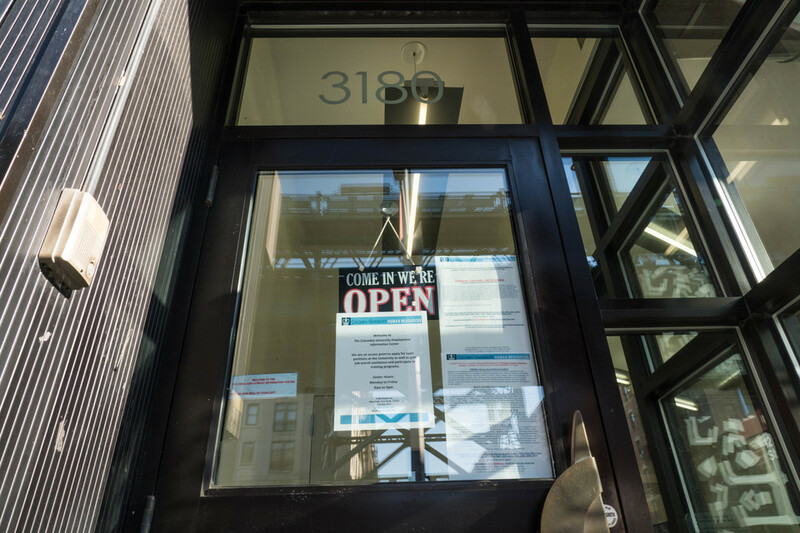 Although fliers posted on the door advertise various job openings, there is nothing outwardly displayed that encourages local residents to enter the building. The Columbia title itself may defer locals who know that many of the other buildings affiliated with that name require university ID cards to enter. The Columbia representatives I speak with in Jones’ office seem somewhat surprised at my findings. In response, they suggest that neighborhood residents should “knock on the door” to find out what exact services the Center offers. But passersby outside seem to be in a rush. As the weather gets colder, they tuck their hats over their foreheads and don’t bother to look left or right as they hurry down the block. There is no doubt that people come in out of curiosity, but I am doubtful that many job seekers who are unaware of the CEIC’s function will take the time to knock on its door, wait for the ‘click’ that signifies it’s been unlocked, and inquire about what exactly the Center does. This notion of perceived inaccessibility is echoed by Byron Murphy, a Morningside Heights resident who is wearing a baseball cap and sitting around a mahogany table in the Community Board 9 office on 125th Street and Broadway with five other residents of the neighborhood. This is the building in which CB9 organizes to “advise and inform their respective constituencies on matters relevant to their immediate neighborhood.” In other words, CB9 discusses the ins and outs of notable events in Morningside Heights, Manhattanville, and Hamilton Heights. Outside the street-facing window, a group of teenagers gossip in Spanish. The room resounds with light-hearted conversation. Yet, when I bring up the CEIC, the reactions are uniformly solemn. Dantice Davis raises her eyebrows and her long braids frame concern on her face.“Nobody broadcasted to us or put up fliers in our buildings like usually people do when stuff is open for the community,” she says. Many residents who have passed by the CEIC are unsure of what lies behind its glass walls. Some assume or have heard through the grapevine that the CEIC staff only offers job seekers some pamphlets with an online link to apply. “What about those who don't have access to computers in their own homes?” Davis worries, “That’s a lot of us.” The CEIC actually added multiple computer stations to its facility in recent years, on which online applications can be completed in less than an hour. But how effective are these resources if so few people know of them? 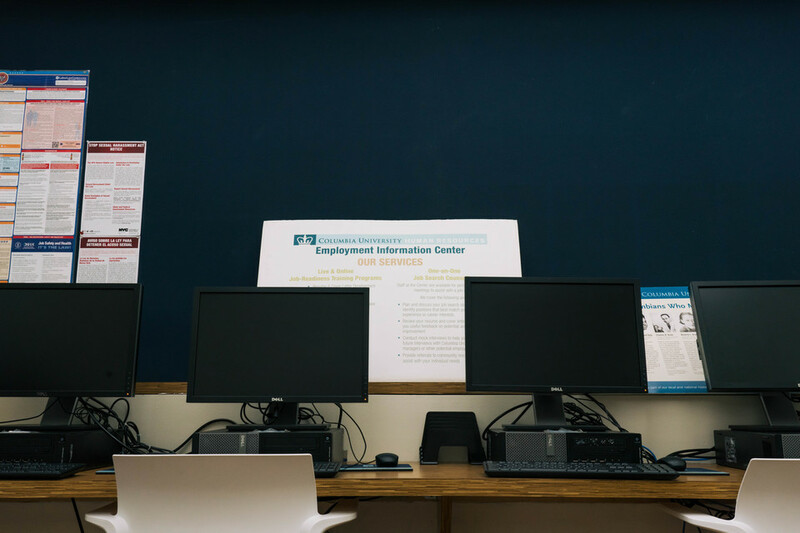 The CEIC added multiple computer stations to its facility in recent years, on which online applications can be completed in less than an hour. The residents gathered in the CB9 room are surprised to learn that some of the Columbia door attendants on Riverside Drive who were hired through CEIC are from Brooklyn, the Bronx, or New Jersey. “How do they get to people all the way in the Bronx and downtown in Brooklyn and they skip over us, when they’re right in our backyards?” Davis asks. Derrick Johnson, a former CB9 member, wears a smart grey business suit and speaks eloquently, leaning forward and punctuating his points with a gesture. His dedication to Manhattanville and Grant house communities is apparent in his knowledge about the community’s demographics. He pitches in to point out that this perceived inaccessibility negates the community aspect of the CBA and suggests the implementation of some special process to make sure the people using CEIC are actually from the surrounding community. “People who apply from around here should go into [a specific] pool of applicants,” he says. Although there is no official mechanism to prioritize the applications of people who live in West Harlem, Catalano tells me she personally prioritizes those applications. In turn, Columbia employers will pay more attention to them. On an official level, the CEIC focuses on the Upper Manhattan Empowerment Zone, which includes West, Central, and East Harlem, as well as Inwood in the South Bronx. The residents gathered in the CB9 office voice the concern that people living relatively further from Manhattanville have not experienced the effects of Columbia’s expansion as personally as those who live in Community District 9. They wonder why the CBA, meant to benefit West Harlem, should benefit people a lengthy subway ride away. 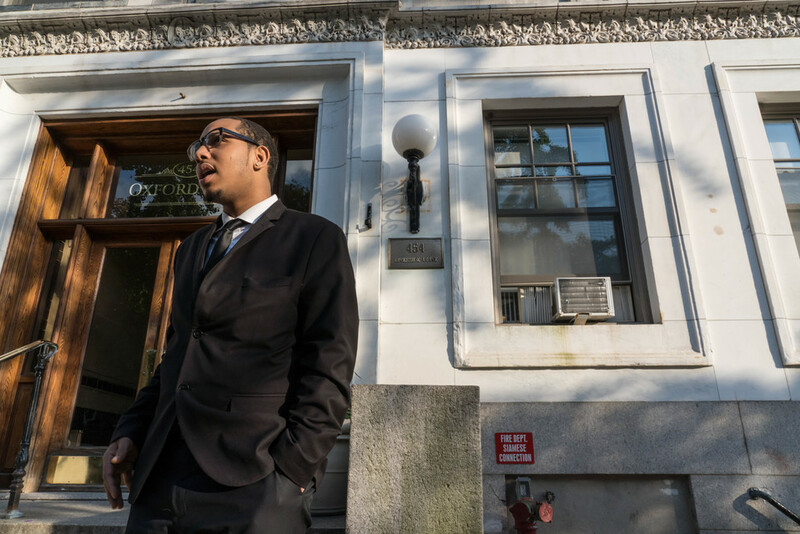 When Morningside Heights Community Coalition Executive Board Member Kwesi McDavid went to the CEIC four or five years ago seeking employment, he left upon seeing that there were only three positions available. “Generally, places like an employment place, especially [in a neighborhood] with such a high level of unemployment … there's a lot of traffic. There's a lot of other people moving in and out.” McDavid says the lack of traffic at CEIC indicates something amiss. CEIC staff attribute the low foot traffic to online services and (in contradiction to McDavid’s claim) to the historically low unemployment rate in New York City today. Back in the CB9 office, Johnson suggests that the way to move forward is long-term communication. “Maybe this can be the beginning of a better relationship,” he posits. “[Columbia should] come and engage us or invite us to their meetings so that we can know more about the opportunities they have.” Other residents suggest organizing quarterly meetings between Columbia’s Government and Community Affairs Office and West Harlem community leaders, including CB9. Jones points out to me that the CEIC does make an effort to spread the word. She personally works with community-based organizations, tables at job fairs, holds workshops in public spaces, and coordinates an annual career expo. She says the Center advertises in newspapers like El Especialito, Manhattan Times, and El Diario—although it is not actually listed as an employment agency on the latter’s website. According to the CEIC, representatives also appear at community meetings, including CB9 events. “"We want to make sure the word gets out there as much as possible,” Jones maintains. Yet, there seems to be a broken link.